I wrote a guest post for GigaOm on iBeacons in which I detailed how Apple is going to embrace Internet of Things and dump NFC. I also detailed about significance of iBeacons in indoor location based services and in-store marketing. Google is betting on NFC, but Apple is moving forward with iBeacons. Here is the Gigaom post - With iBeacon, Apple is going to dump on NFC and embrace the internet of things. Nor did Apple say anything about it during the iPhone event Tuesday. But I'm sure this is going to be a big deal, and startup companies like Estimote agree, announcing its support for Apple's technology Tuesday and releasing this demonstration video. Even CNN picked up the article from GigaOm. Here is the CNN link. Wall Street Journal used excerpts from my GigaOm article - What People Are Saying About the New iPhones. 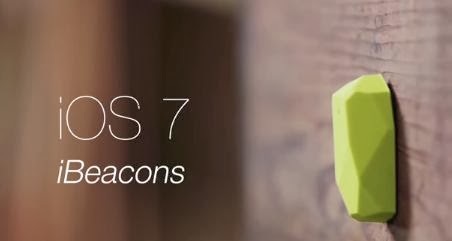 Hari Gottipati writes on GigaOm about what wasn't talked about at the launch: iBeacon, a bluetooth-powered location technology that will ship inside iOS 7. NFC tags are pretty cheap compared to NFC chips, but NFC tags are required on each product because NFC works only in very close proximity. In theory, NFC range is up to 20cm (7.87 inches), but the actual optimal range is less than 4cm (1.57 inches). Also, mobile devices need to contain a NFC chip that can handle any NFC communications. On the other hand, iBeacons are a little expensive compared to NFC chips, but iBeacons range is up to 50 meters. Not all phones have NFC chips, but almost all have Bluetooth capability. This kind of technology gets us closer to the Internet of Things, Gottipati writes. Hari K Gottipati is a software professional, consultant, speaker and freelance writer who specializes in Java, mobile computing, cloud computing, virtualization and Ajax. Proven Java enterprise lead, competitive analyst, technical architect and loves coding. Expert in analyzing market landscape for startup ideas and molding them into successful products with the technical/competitive advantage. Regularly writes for Syscon media, O'Reilly publications and his quotes can be often found in various technology news/magazines. Well known blogger and his blogs can be found at sys-con.com, onjava.com and xml.com. Speaks at various events on latest technologies including Mobile, Cloud computing, Ajax, Web 2.0, Web OS and of course Java. Hari serves on technical advisory board for various small to medium size companies where he provides technical vision for the future. Worked for many wireless startups, as well as big companies including Yahoo, Travelocity, and Motorola. Passionate about technologies and spends most of his time exploring bleeding edge software technologies.